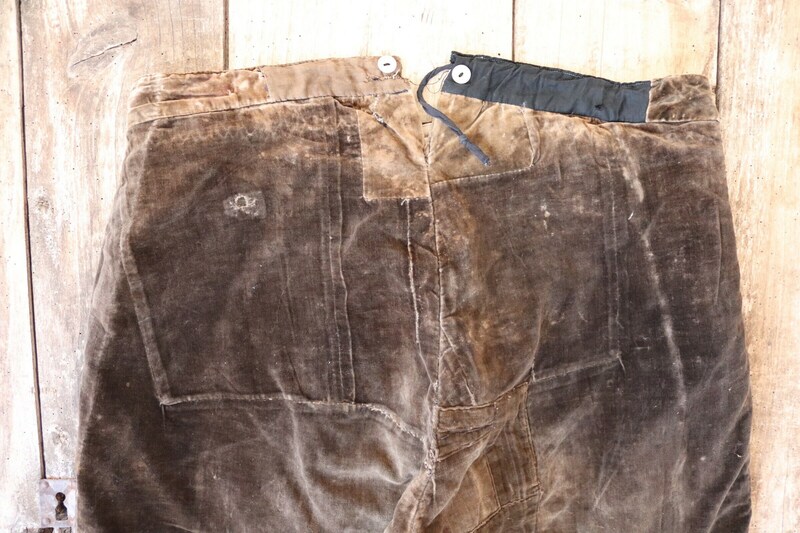 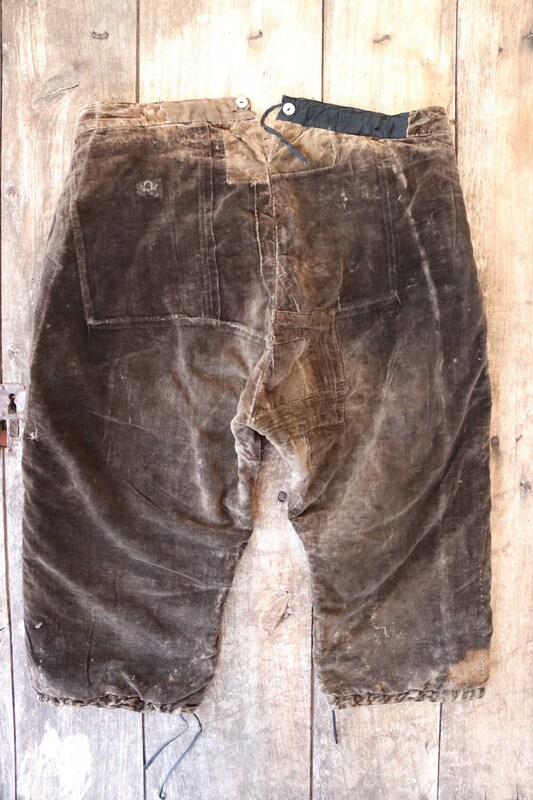 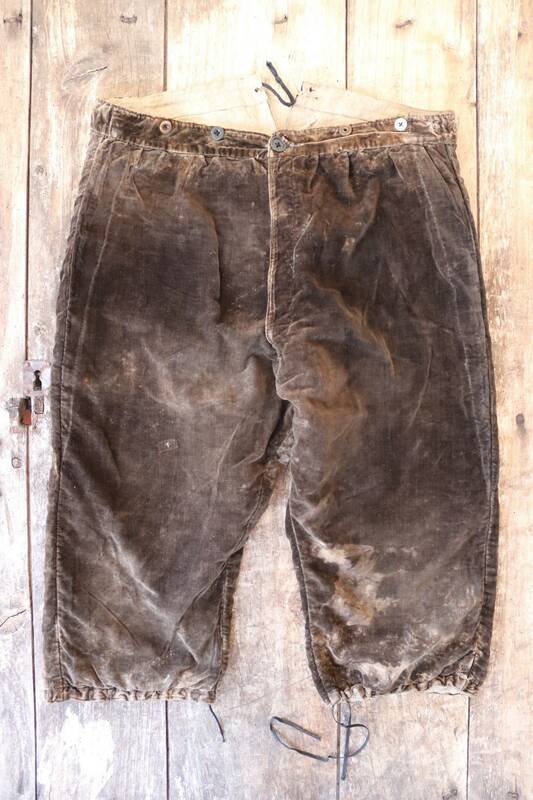 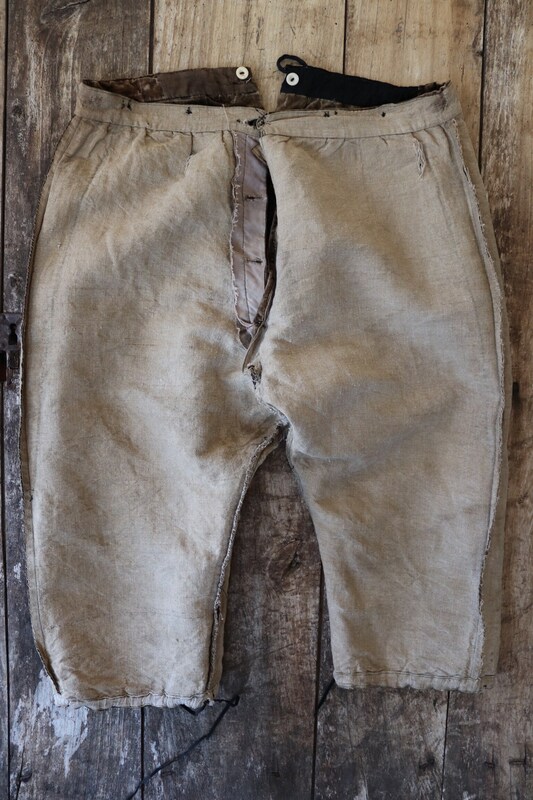 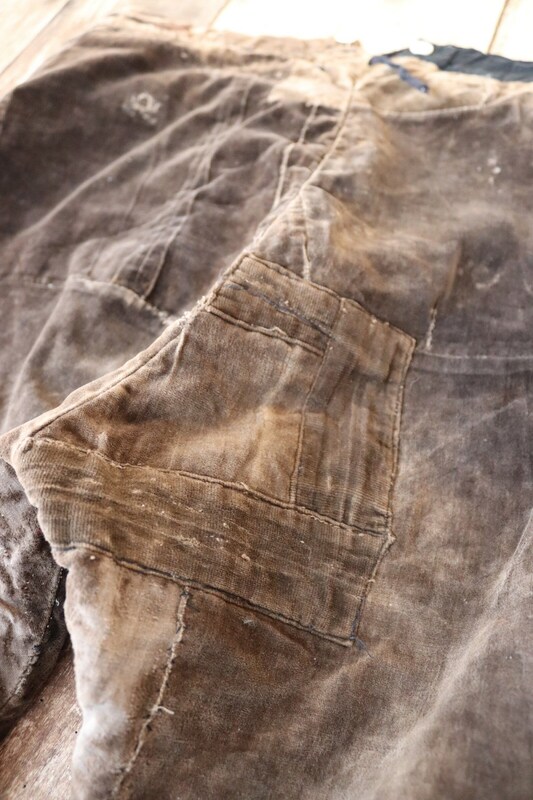 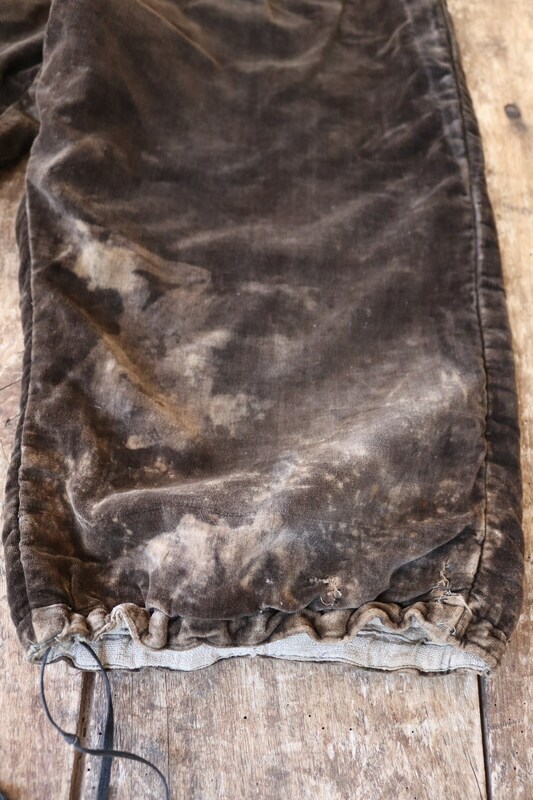 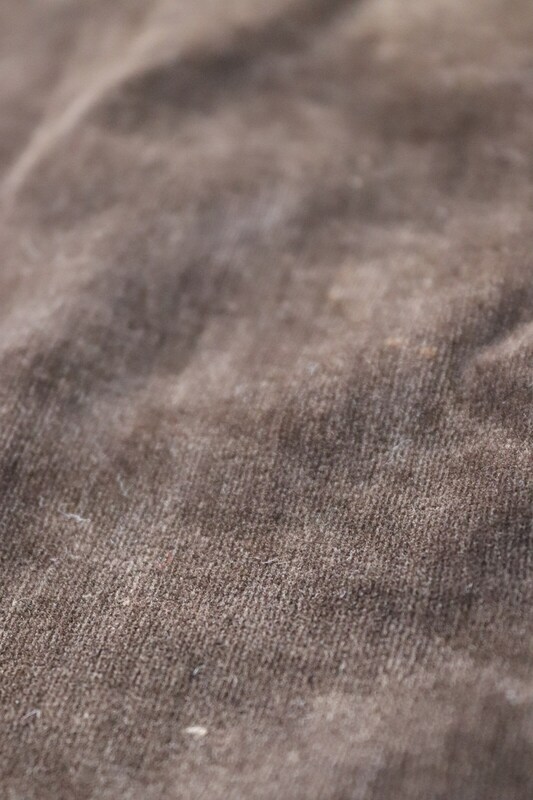 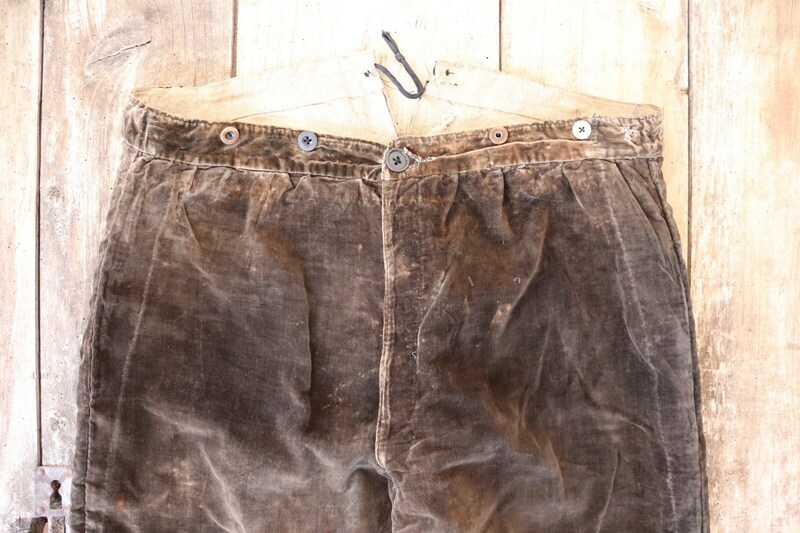 A pair of french brown velvet breeches, dating from the late 1800s/early 1900s. 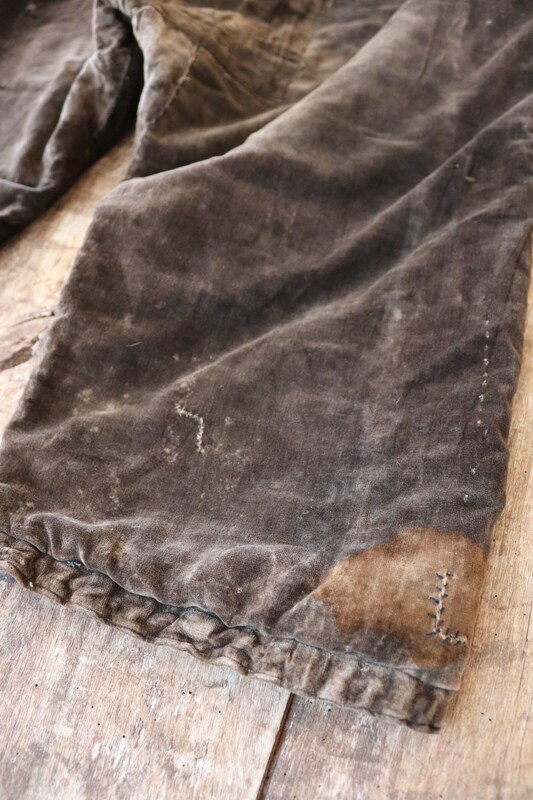 Noted flaws - mismatched buttons, patches and small repairs throughout, areas of colour fading and wear to the velvet on the inner thighs - please see photos. 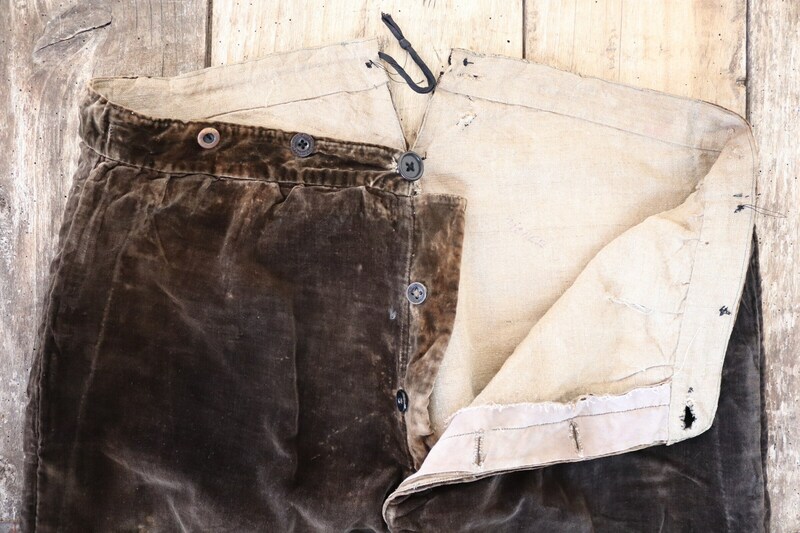 Fully lined in linen, button fly, suspender buttons, drawstring v notch back, drawstring at the ankles, unique antique item with lots of wear left in them.